EYE ON ALUMNI | Cheri Florance, ’70 MA., ’75 Ph.D. When told that she should institutionalize her son, Cheri Florance set out on a radically different route instead. by seventh grade, she was teaching a blind child to tap dance. It’s ironic-and very fortunate-that someone whose view of the world is so verbally oriented has dedicated her life to helping people whose minds work in pictures. “I understand the flip side because I’m so extreme myself,” Florance said. Florance treats patients exhibiting what she has named the Florance Maverick Syndrome, a disorder she discovered in her own son and later studied at Ohio State. “Mavericks,” as she calls them, are so intensely visual that their brains’ verbal pathways have been short-circuited. “This is a trainable disorder caused by an overworking visual brain,” she said. AT BRAIN ENGINEERING LABORATORIES, her consulting business in New York City, Florance uses an Internet classroom, teleconferencing, and videoconferencing to work with extremely visually oriented people all over the world. “I teach them how to repair as many as 50 symptoms in the areas of attention, memory, listening, read­ing, writing, and speaking. Florance’s work has benefited hundreds of people, from children having trouble learning to doctors struggling to take oral exams in medical school. Most of her adult patients are employed in visual fields such as the arts, architecture, computer science, and medicine. Whitney Conway is Florance’s 22-year-old son. 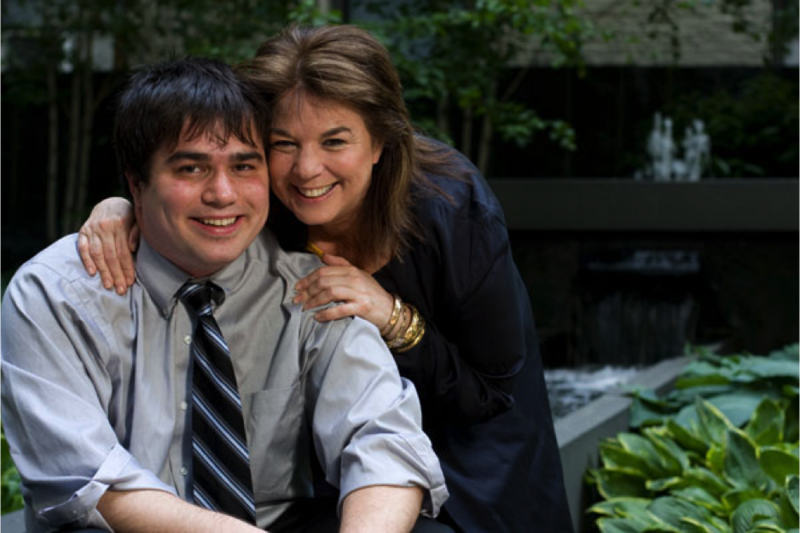 He’s now a successful college student, but as a young child, he was diagnosed as deaf; mute, autistic, and retarded. Specialists saw Whitney as a lost cause and told Florance to consider institutional­izing him. She refused to give up on him, however, and in the process of learning how to help her son, she discovered Maverick Syndrome and how to treat it. 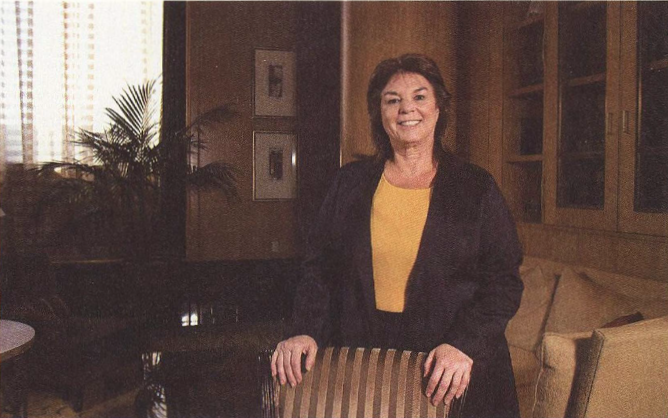 SPURRED BY CURIOSITY about how the mind affects communication skills, Florance had earned a master’s degree in speech and hearing science and a dual doctorate in psychology and speech pathology from Ohio State in the 1970s. By 1986, when Whitney was born, she was well on her way to becoming a respected brain specialist and expert in communication problems. Within months of her son’s birth, Florance knew something was wrong. Unlike her two older children, Whitney was unresponsive to her and to the rest of the world. He didn’t make noises or appear to hear things-even when, at a doctor’s appointment, she shouted in his ear. “I was his mom. He was created out of my body, and he didn’t love me-and I had two other kids who loved me very much. This was a heart-wrenching experience, to have a baby who doesn’t know you exist and doesn’t want to hug you or be nurtured or cuddled,” she said. Yet Florance observed behaviors that made her hope she could reach her son. Whitney seemed to have a sixth sense when it came to finding his way around, for instance. He didn’t need potty training to learn to use the bathroom, and he was constantly taking his toys apart. Then, when Whitney was two and a half years old, Florance had a breakthrough. While the rest of the family slept in a hotel room, Whitney left the room, took the elevator downstairs, ventured into the hotel kitchen, grabbed a Coke from the fridge, and fell asleep on the floor. At 2 a.m., the police knocked on Florance’s door, Whitney in tow. Many parents would have despaired, seeing nothing more than an uncontrollable child. But Florance saw a boy whose mind was clearly at work. “I thought, look at all the thinking that he did to accomplish that. He’s not retarded; he’s smart. There’s something going on here that is very hopeful. I just have to figure it out,” she said. Florance came to realize that Whitney’s brain worked so visually that it prevented his language skills from developing-the basis of what she would eventually call Maverick Syndrome. If she could get Whitney to associate words with the things he saw, she thought, she could teach him to communicate. “Because I was a researcher, I was con­stantly setting up a hypothesis and then trying to figure out how I would make a plan to decide if that hypothesis was correct,” she said. Thus, began Whitney’s education, with help from his older siblings, Vanessa and William. Florance set up daily goals for Whitney. “He loved Wendy’s french fries, so we taught him the logos for Wendy’s and Pizza Hut and places he liked to go. We started matching the logos with the words, and then we started to match us [family members] with words,” she said. By the time Whitney was in ninth grade, he was symptom-free, Florance said. As a high school student, he played sports and took part in school plays; he also enjoyed a normal social life. AT OHIO STATE, where she already had worked in various capacities, Florance tested what she’d learned with Whitney on adults, working with medical students who were at risk for flunking out. The students might excel at performing a surgical procedure, she said, but would be unable to explain to a supervisor what they’d done and why they’d done it. Her goal was to “take their visual thinking, which helped them get into medical school and be a good doctor,” and use it to help them improve the verbal skills they’d need to pass the board examinations. Using visual tests, Florance studied how the students’ brains paid attention and formed memories. Traditional talk therapy wasn’t part of the treatment. “Most people try to help them by verbally talking to them, and that’s quite muddling. That’s like putting salt in the wound,” Florance said. Florance worked with Ohio State’s statistics department to come up with a list of 50 symptoms she commonly saw in the medical students. She uses that list today at Brain Engineering Labs, taking on patients who exhibit at least 25 of the symptoms. “Most of the people I work with have 40 out of 50,” she said. “We often see fantastic results in the first week because of carefully selecting the right people. In 2004, Florance published Maverick Mind: A Mother’s Story of Solving the Mystery of Her Unreachable, Unteachable, Silent Son, which details her journey with Whitney, starting at his birth. Learn more: www.ebrainlabs.com Click on “Maverick Movies” to see Cheri Florance and Whitney Conway talk about their groundbreaking experiences.